Dr. Lorna Butler will soon be joining UNB as dean of nursing on the Fredericton campus. Dr. Butler comes to UNB from the University of Saskatchewan, where she is currently a professor at the College of Nursing, as well as senior strategist, distributed and technology enhanced learning and discovery, in the office of the vice-president research. 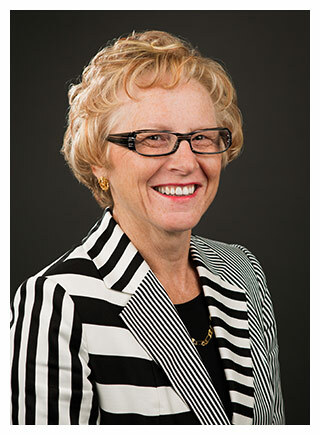 She has held various administrative positions, including dean at the College of Nursing and acting director for USask’s International Centre Northern Governance and Development. She holds a PhD from the University of Toronto, a master’s degree in nursing from Dalhousie University, and a BScN from Mount Saint Vincent University. “We’re excited to have Lorna join us as dean. My colleagues and I were impressed by her extensive practical, academic and administrative experience, and we look forward to working with her in nursing at UNB,” says Dr. George MacLean, vice-president academic on the UNB Fredericton campus. Throughout her career, Dr. Butler has been recognized for her research and contributions to nursing and health care. She has presented on topics including global solutions for local health care, robotics in nursing, and Indigenous social determinants of health. She began her career in clinical practice. Dr. Butler uses a variety of leadership methods to support and guide her colleagues, all based on the principles of understanding and serving people. “Leadership is understanding the needs, culture and values of the community, whether that community is the faculty of nursing, UNB, or the province,” says Dr. Butler. A number of factors attracted Dr. Butler to UNB, including its emphasis on collaboration and research, and its vision to be the university of choice for passionate minds. As dean, Dr. Butler plans to encourage and facilitate more opportunities for research, as well as take the lead on province-wide nursing issues. “I like to try things that haven’t been done before, or to reimagine things that have been done in the past. I’m willing to be creative and work hard with the university and the province to achieve that,” she said. Dr. Butler’s five-year term commences Sept. 1, 2018.